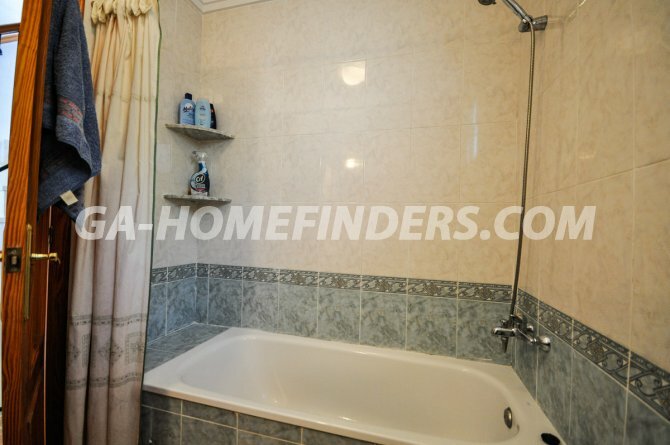 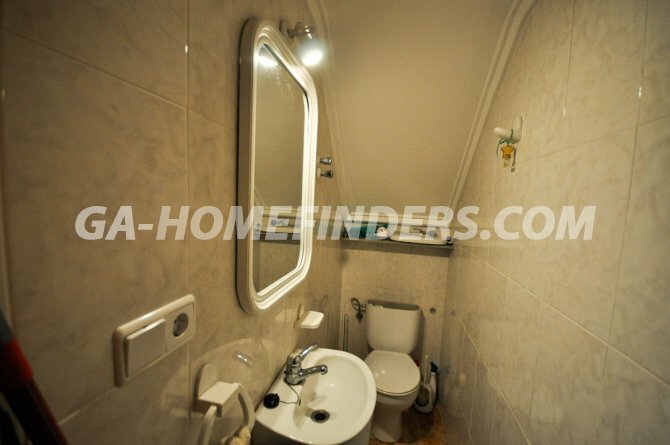 Corner town house with 3 bedrooms and 1 bathroom and 1 toilet, completely furnished and with kitchen appliances, American style open plan kitchen, air conditioning (hot and cold), security grills on all the windows, awnings, mosquito nets on the windows. 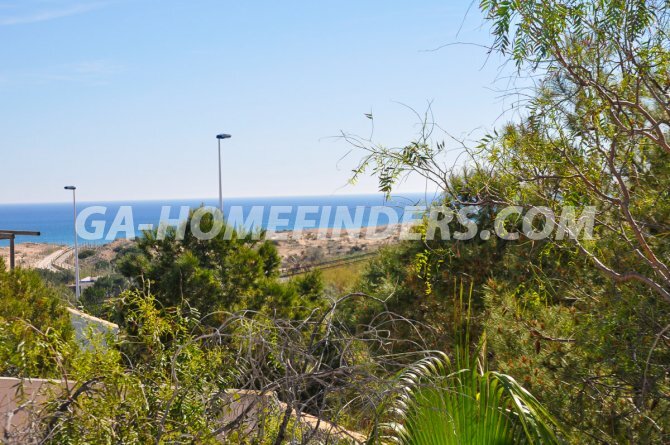 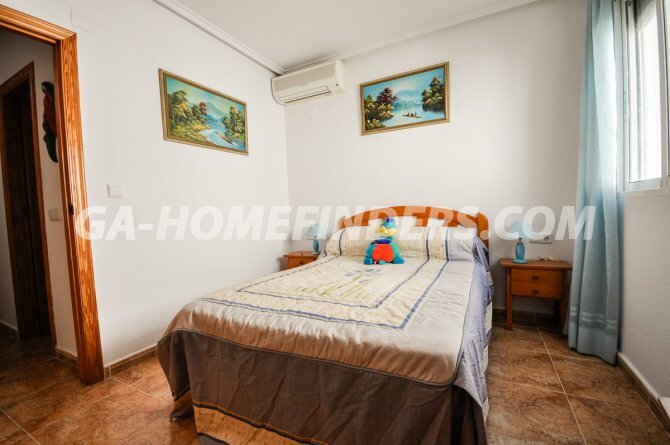 Solarium with views to the sea, underground parking space, southeast facing, just a couple of minutes away from Carabasi beach with all it´s facilities. 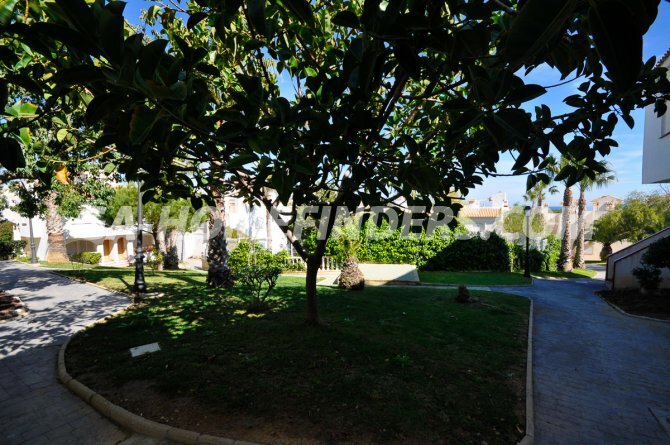 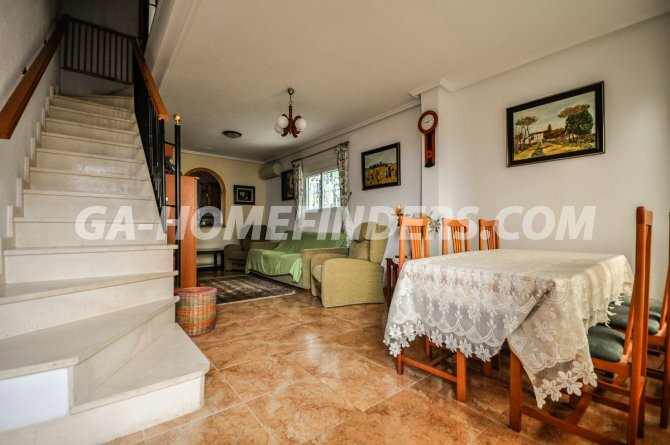 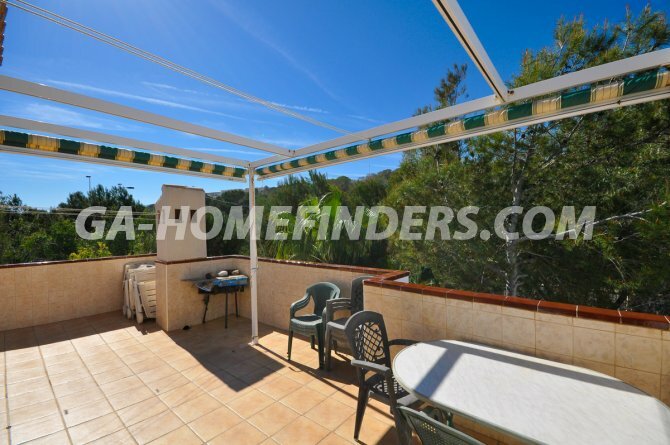 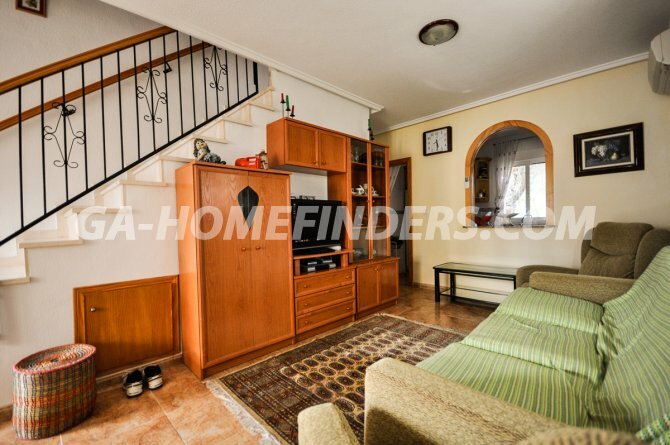 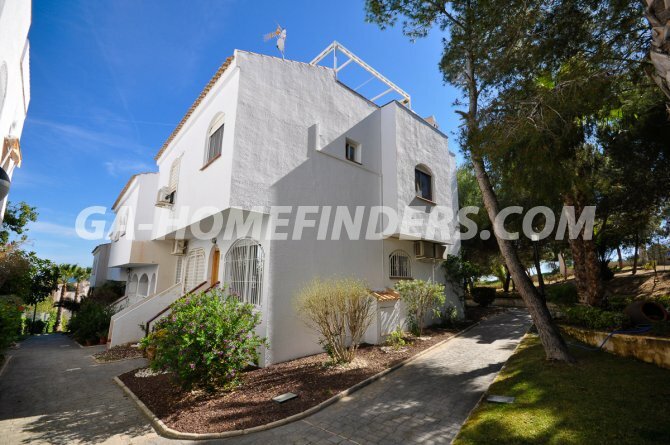 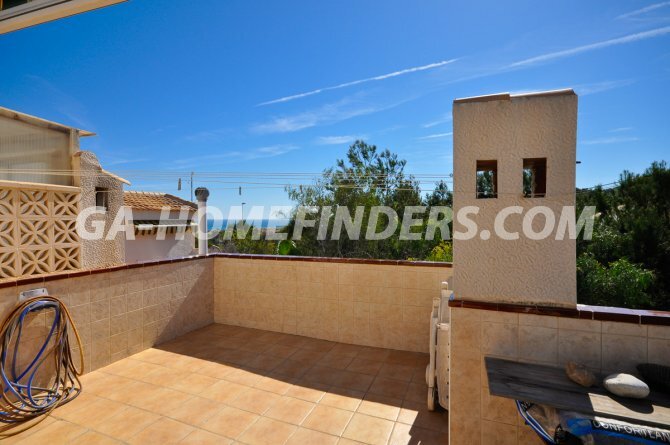 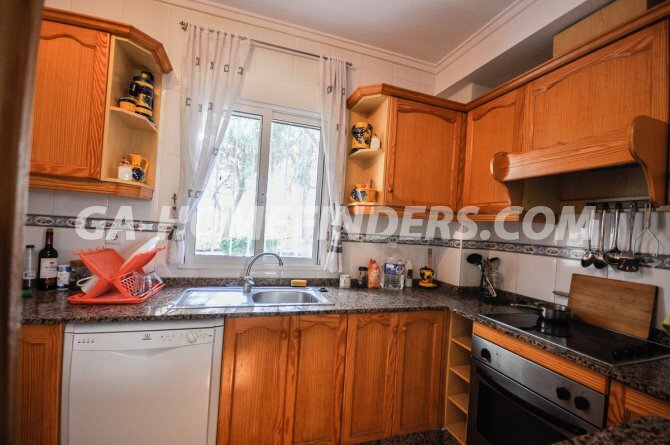 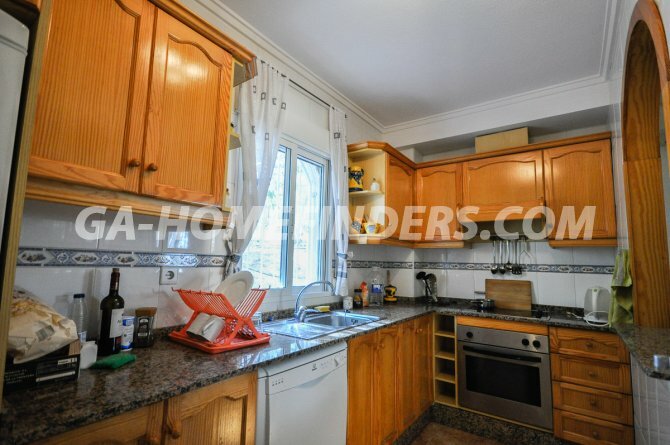 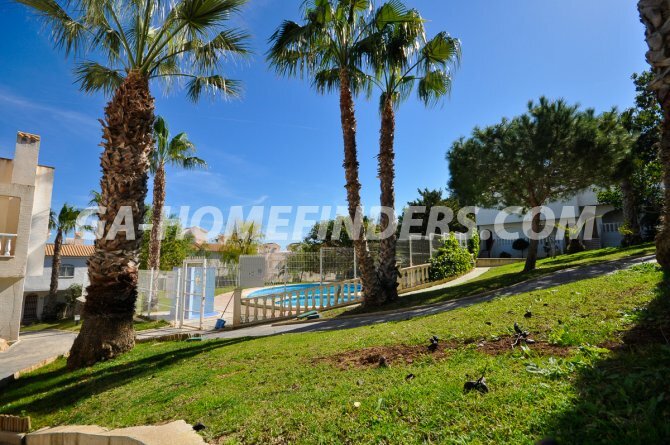 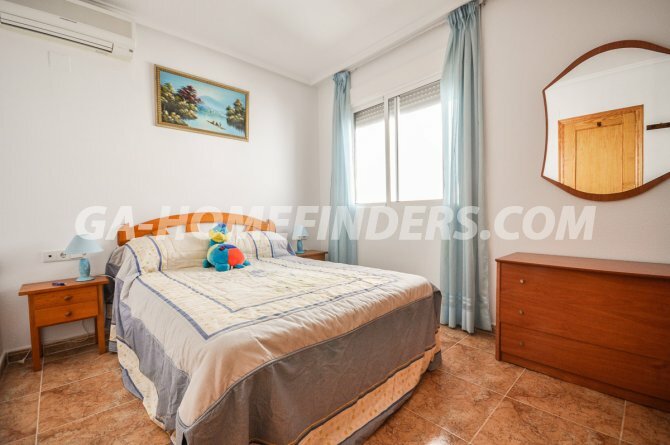 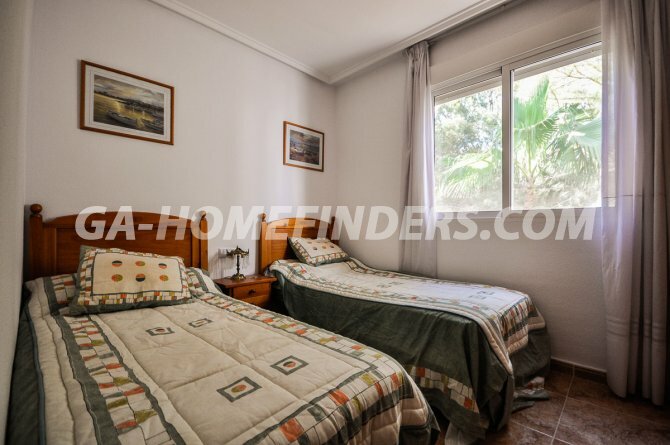 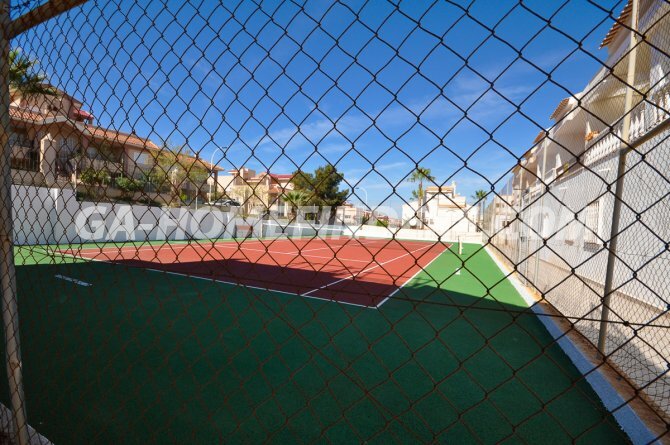 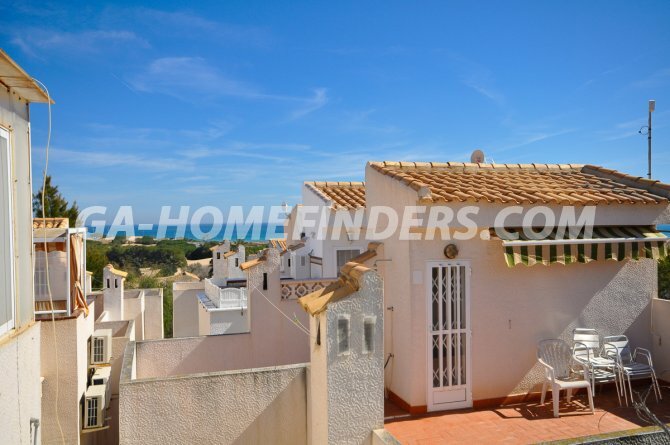 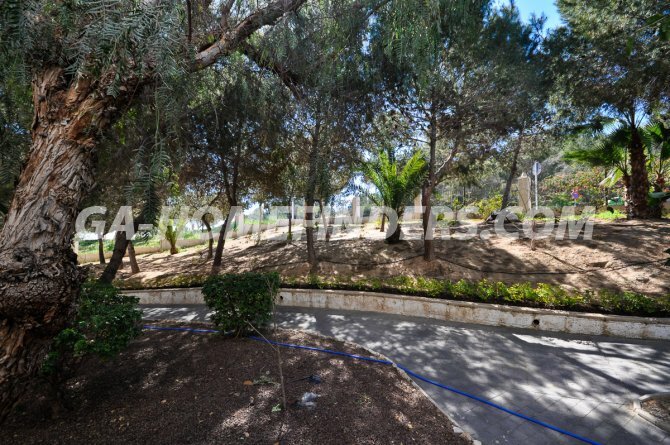 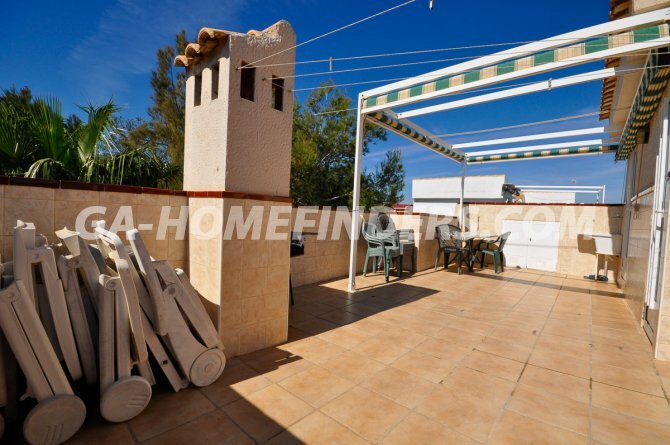 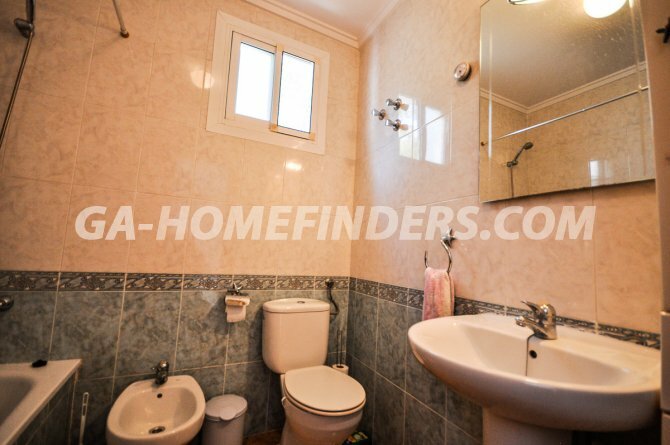 Located in a enclosed well maintained quiet urbanisation with communal swimming pool, communal tennis court and communal gardens situated in the lower part of Gran Alacant and within walking distance to the beach, close to the nature reserve park Clot de Calvany.